The body achieves what the mind believes! A hugely motivational wall quote sticker to push you that little bit further when exercising, to achieve that little bit more! 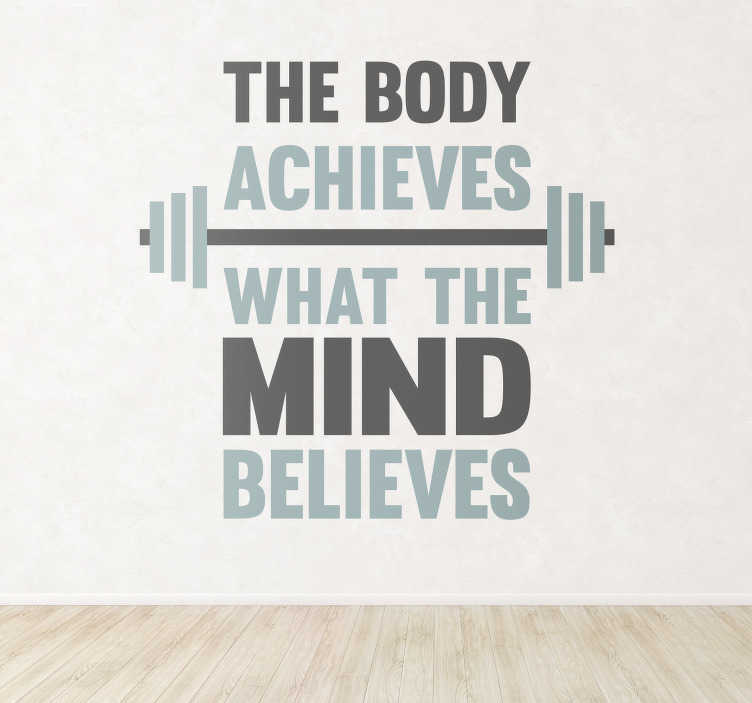 If your mind believes it, then your body has a great chance of achieving it! Choose your size and buy this text decal now!